Conservatory roof repair service in Portsmouth, Waterlooville, Fareham. 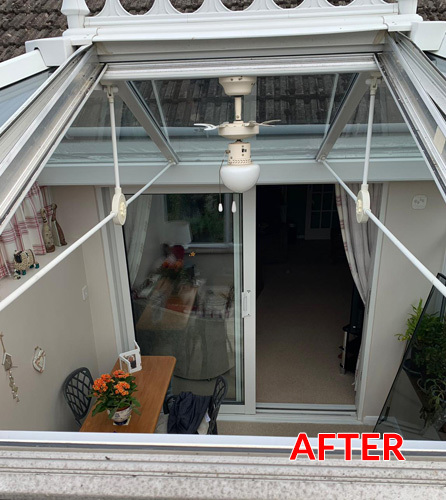 When a repair is needed on your conservatory then it is imperative you get it fixed sooner rather than later to prevent the problem from getting bigger and more costly to fix. Slipped glass and polycarbonate panels can be fitted back into their correct position with retaining brackets. Speak to a member of our team to discuss your individual requirements to get your conservatory fully repaired for you and your family to enjoy. We welcome enquiries from Hampshire, Surrey and West Sussex including Aldershot, Camberley, Eastleigh, Farnborough, Godalming, Guildford, Hayling Island, Hook, Portsmouth and all surrounding areas. Take a closer look here at the specific areas we cover. Payment can be made by credit card, bank transfer or cash once you are 100% happy with the work that has been completed. If you are still unsure, then take a look at our Checkatrade, Facebook and Yell pages and find out what our recent customers are saying about our workmanship. 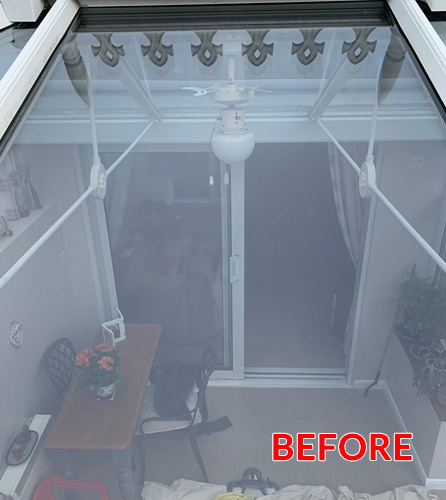 All of our conservatory repair work is fully guaranteed, and we offer competitive prices on our no obligation quotations. Call us today on Freephone 0800 669 6289, we are waiting for your call.